“The Single Biggest Problem in Communication is the Illusion it has Taken Place”. One of my favorite quotes by George Bernard Shaw says a little too much about how ambiguous a communication might get. Becoming an effective communicator is a pivotal part of developing a sterling personality. Be it as important as a job interview, or as trivial as asking for the right chocolate in the supermarket, correctly conveying your message is crucial. During the SAP Month of Service of 2016 in India we set ourselves a vision to create an opportunity for students from ‘under-reached’ sections of our community to gain a new perception about communication from the our experts in a fun filled hands-on engagement. I strongly believe in the concept of learning by doing, therefore right from the inception of curating the workshop content, it was kept in mind that all the insights will be shared through engaging activities. To allow 100 percent participation, instead of conducting the workshop in a traditional manner, we experimented with the method of facilitation; which worked out pretty well. With this approach, the participants steer the whole workshop and instructor only helps them navigate towards the goals. Since SAP Toastmasters team has highly experienced members who are capable enough to meticulously and rapidly model training material for a vivid set of audience, I was in a position of confidence to ask out the NGOs for their specific requirements. 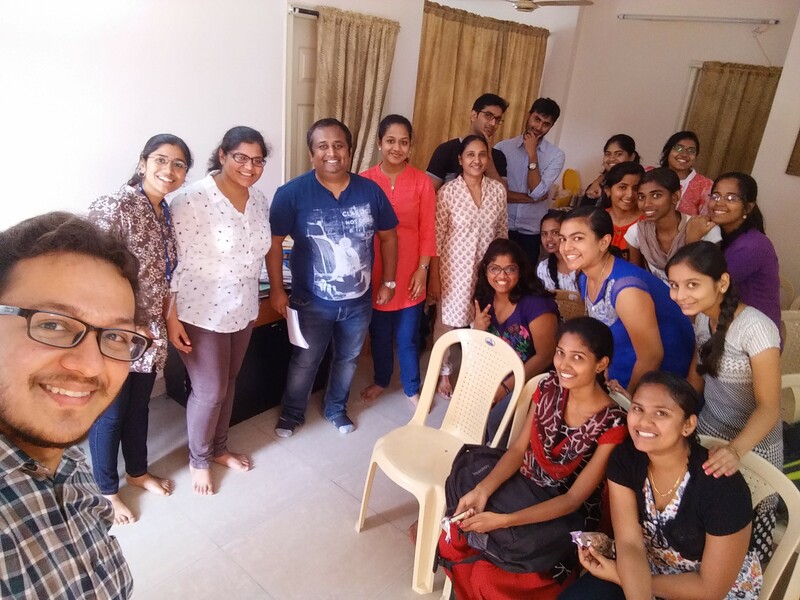 For the first iteration, the SAP SpeakToLead Toastmasters team visited Katalyst on November 6th, 2016. Katalyst is an NGO with a vision to be a leader in this continual elevation and transformation of young women from low income communities to lead change in their professional and personal spheres of life. First activity highlighted the importance of asking the right questions and acknowledgement to remove all ambiguities from any form of communication. With second activity, we prepared the participants to answer questions like “Tell about yourself”. If leveraged properly, such open ended questions have great potential to mold the whole interview to one’s advantage. Experts from the toastmasters also demonstrated a template for the same. In the third activity, the candidates were put under a real life simulation of situations like stress interviews, and our seasoned toastmaster evaluators highlighted the strengths observed in each participant, as well as reflected upon the areas with scope of improvement. For the second iteration, we’re targeting a visit to another NGO, Ananya, on November 13th, 2016 and conduct a workshop on “How to design effective presentations”. Toastmasters is a Non-profit organization developing public speaking and leadership skills through practice and feedback in local clubs since 1924. Affiliated to Toastmaster’s International, SAP SpeakToLead Toastmasters club is one of the best corporate clubs in Bangalore. As a part of special interest groups internal to SAP, the club has several experienced and enthusiastic members. The club provides congenial environment to help individuals become great leaders and communicators. The club’s environment continuously pushes an individual towards improvement by a continuous loop of feedback by providing a platform to experiment and learn by doing. I feel privileged working with so many diverse leaders having sterling personality and polished public speaking skills. A big shoutout to the team of Abhishek (President, SAP SpeakToLead), Mythili, Ritika, Ramya, Deepak and Vadiraj who ensured that all efforts helped realize the end goal.